you can feedback to Inspirer Pet. Suzhou Inspirer Pet Products is one of the leading manufacturers and exporters of pet products in China. Based on innovative design and exquisite craftsmanship, our company was created. 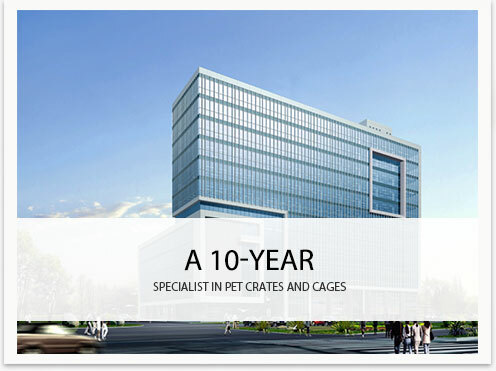 We are specialized in manufacturing and exporting pet crates, pet cages and pet playpen for over 10 years. And pet beds, pet toys , cat trees, and other pet accessories also can be offered. Backed by professional designers and employees, we can provide you a wide selection of products with the highest quality and the most competitive prices and more than 100 models of pet crates and cages to choose from. OEM services are also provided. In order to ensure all products are SGS-certified, Azo-dyes, low lead and cadmium, our QC personnel and third-party inspectors strictly supervise every production step. ​Suzhou Inspirer Pet Products is one of the leading manufacturers and exporters of pet products in China !